Did you hook up your Magento store with shopping sites, marketplaces and price comparison websites yet? If not, you should do so - soon! More and more shoppers are using price comparison websites to find the best price for a product or even to discover new products. If your products are not listed on these sites, your products can't be found and you're potentially losing sales. There are hundreds of websites where your products can be listed, however, often getting your products out of Magento into a format that can be imported by shopping engines like Google Shopping or TheFind is almost impossible, as the built-in product export of Magento is so inflexible. That's why we at XTENTO decided to develop a new Magento extension which makes it possible to set up feed exports out of Magento in any text-based (CSV/TXT/Tabbed/XML/...) format. 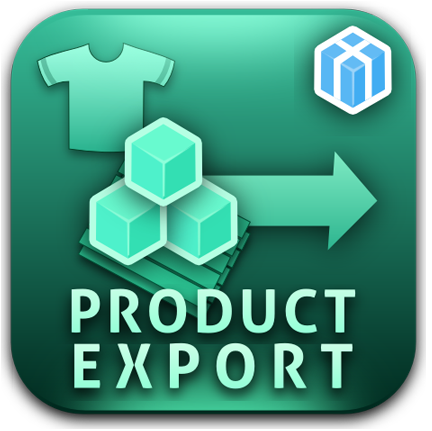 Using our Magento Product Export Module, setting up product exports is a breeze. The module comes with 15+ free connectors for popular shopping sites like Google Product Search or Nextag. If the website or system you want to send your products to is not listed here yet, please feel free to drop us a line and we will be able to set up your export format at no extra cost usually. Start generating more sales today and connect your Magento store to shopping engines - easier than ever before, and with a promised return on investment within days. Click here to see all features. Be sure to check out the demo and the screenshots as well. To everyone using our Magento Order Export Module (70+ 5 star reviews) already: Our new product export module offers the same level of flexibility and ease of use - you'll feel familiar quickly.